With profound sorrow, we announce that Andrew died on December 23, 2009. 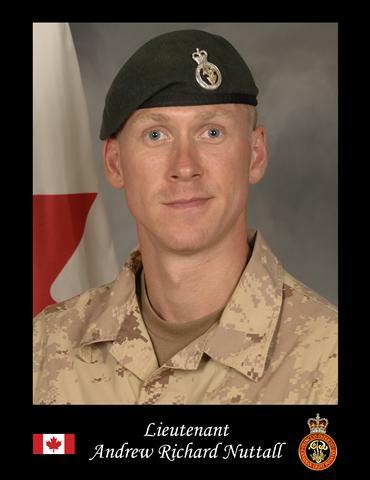 Lieutenant Andrew Richard Nuttall, or ‘Andy’, ‘Drew’ or ‘Nutts’ as he was known, was killed while leading his men in 12 Platoon, 1st Battalion, Princess Patricia’s Canadian Light Infantry, in Afghanistan. Andy started his personal website, ‘Nuttman.info’, in 2002. His family and friends have decided to maintain and develop Nuttman.info in his memory as an ongoing tribute to him. We will be posting new pictures, music, announcements, and other material. If you have any content or updates that you think might help us all continue to remember Andrew, please email andynutts at gmail.com.